Lamb-extravaganza! Loin chops and ground lamb on sale today! Farmer Bob and I were rearranging our big chest freezer and we discovered that we have an abundance of ground lamb and lamb chops! 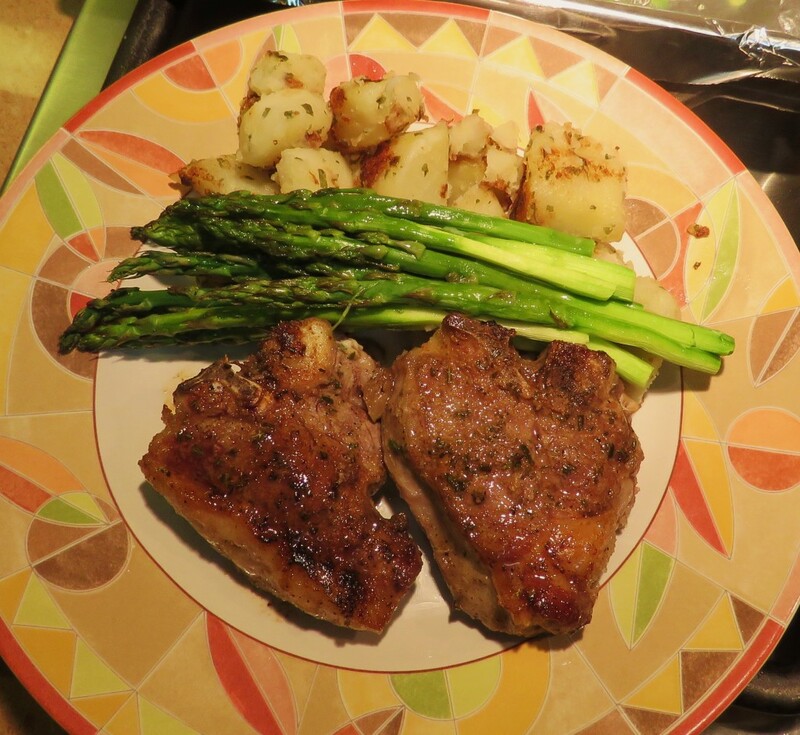 Lucky for you because Farmer Bob said, “Why don’t we have a special sale this Sunday?” I agreed, so our yummy, delectable, lean and juicy loin lamb chops are just $8.99/lb. and our tender and versatile ground lamb is just $5.99 today! Our meat comes from the lamb we raise here on our farm. 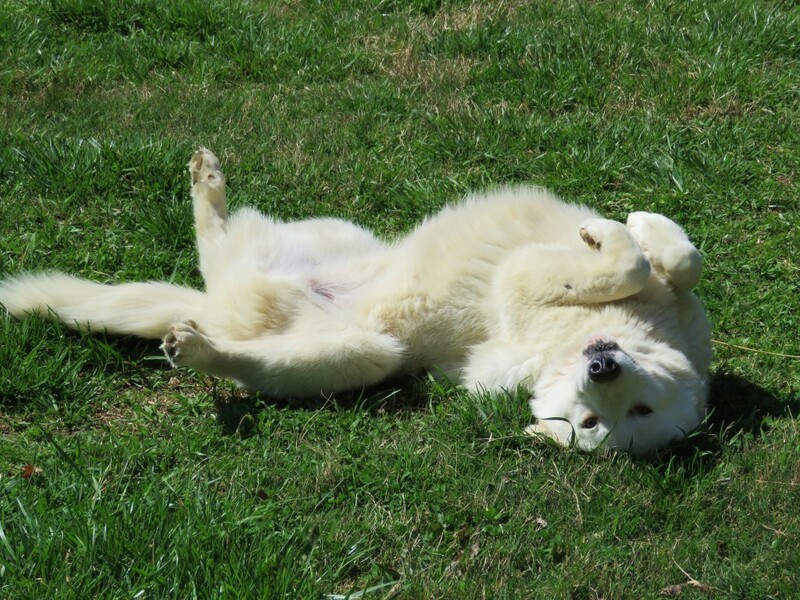 Our sheep are pasture raised on fresh air, sunshine, and lots of green grass. We use a certified humane processor, and there is a USDA inspector present to put their stamp of approval on our meat. We do everything to make sure that our lamb is the best quality possible. Ground lamb is as versatile as ground beef. You can make burgers, meatballs, meat loaves, casseroles, soup….the possibilities are endless. 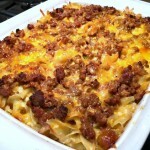 One of our favorite recipes is our cheesy noodle casserole. Each package is around a pound. 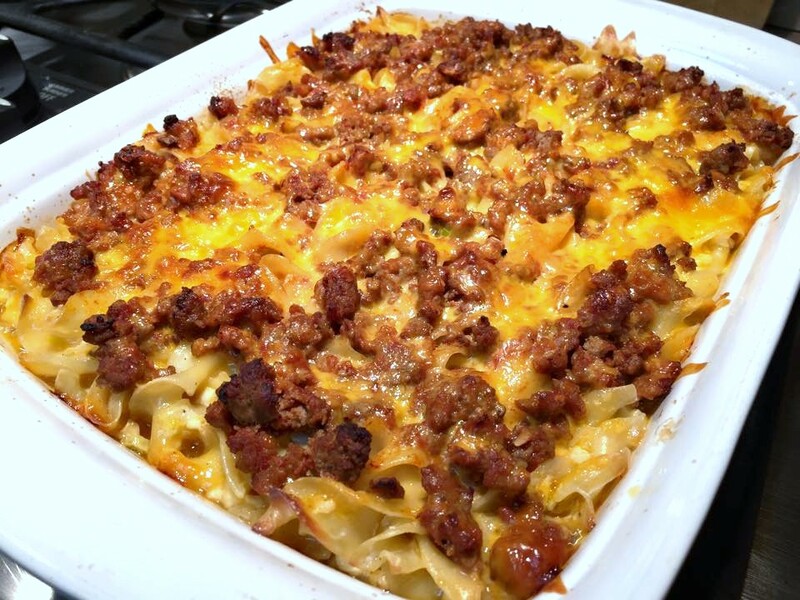 Here’s our recipe for Cheesy Noodle Casserole with Ground Lamb…a family favorite! 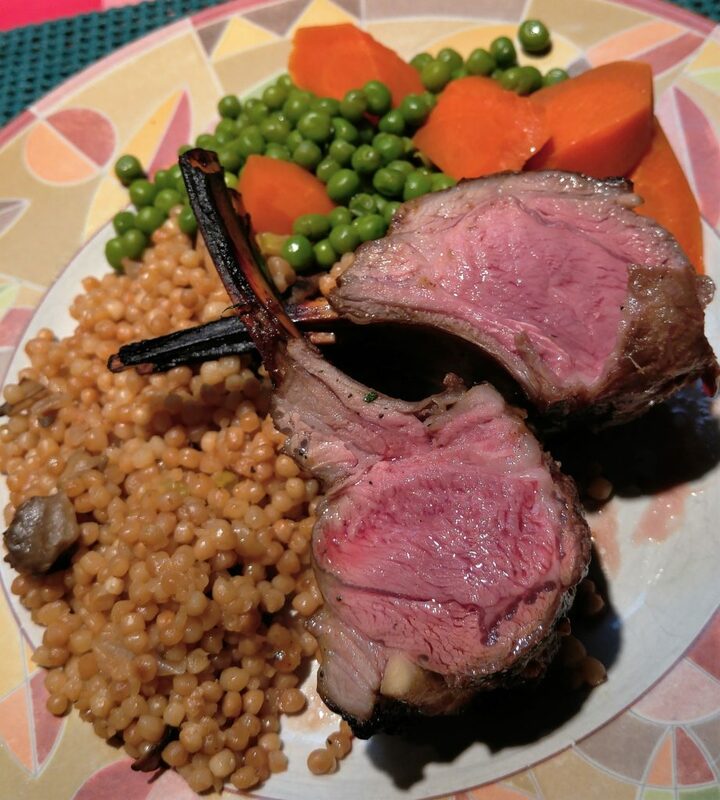 We love our lamb chops and we think you will too. 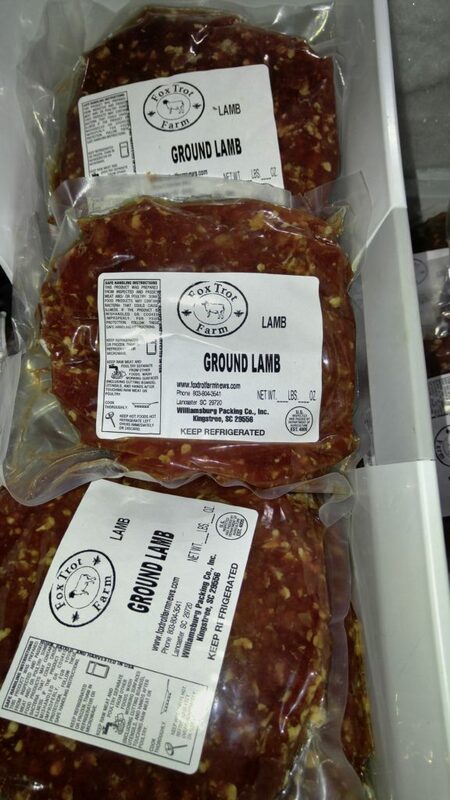 For our regular lamb chop customers, now is the time for you to stock up. Each pack has two chops and they average 1/3 of a pound each pack. These are the ultimate “fast food.” Rub them with a little salt and pepper and olive oil, add minced garlic and rosemary (if you like), and then grill or fry them just a few minutes on each side till they are medium rare. Oh my! My mouth is watering just thinking about how good they taste! 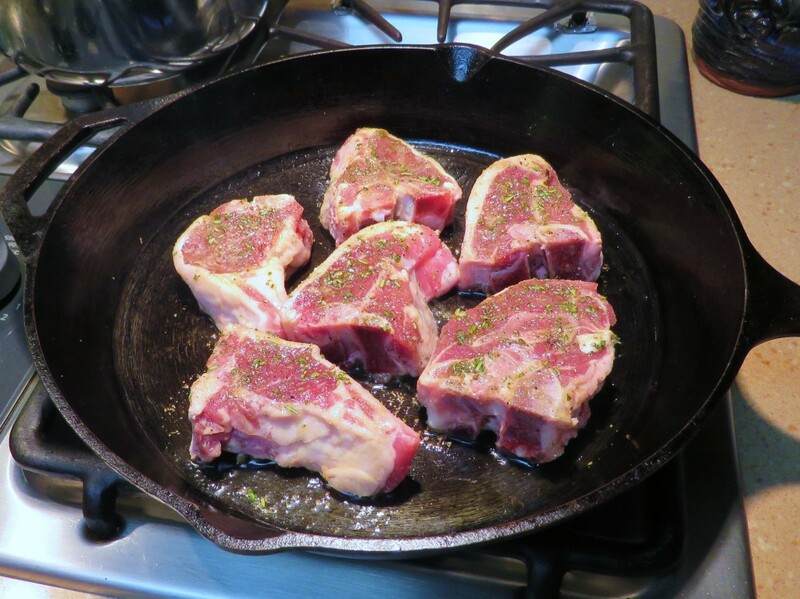 Here’s a good recipe for our lamb chops. We have a few legs of lamb left, as well as stew meat and shanks, all at great prices because you’re buying right from our farm. 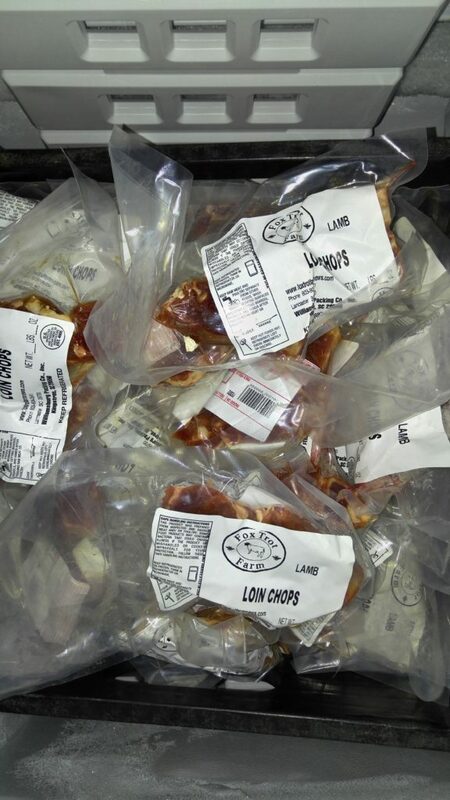 We also have meaty soup bones, and lots of folks who feed raw to their dogs like to use these, and we like them for bone broth and even stews and soups. We have Frenched Racks of Lamb back in stock now, too! Here’s one of our favorite methods for preparing these. 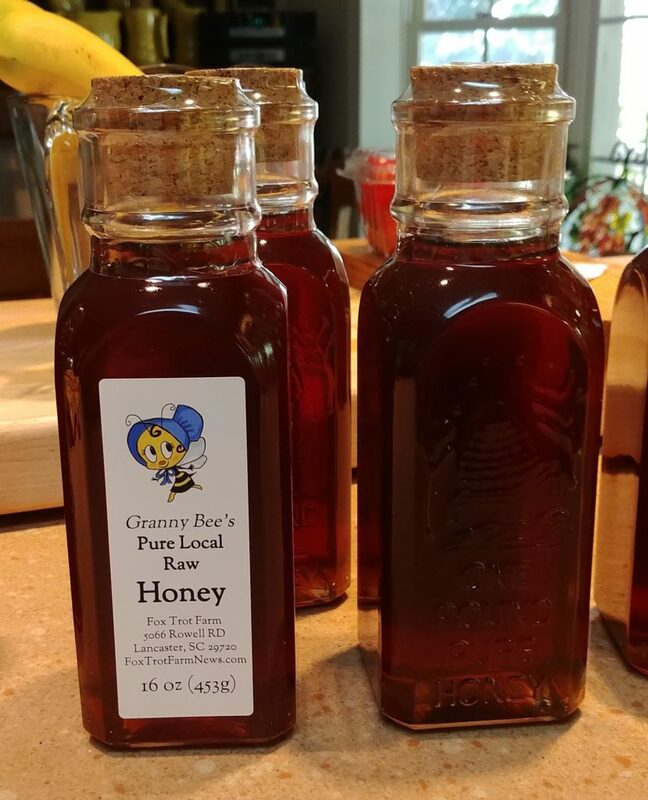 Don’t forget to stock up on Granny Bee’s local honey while you’re here. It’s great for cooking, baking, or drizzling over your toast or biscuits or pancakes. There is nothing quite as special as a chunk of bleu cheese drizzled with our honey for an easy hors d’oeuvres for your next party. How about a toasted baguette slice topped with a thin slice of prosciutto, a slice of raw pear, a sprinkle of blue cheese, and a drizzle of Granny Bee’s honey? The possibilities are endless when you have our high quality, raw honey in your pantry. And our jars are beautiful, too! We have our own honey & beeswax soap, and quilted and crafty things, too, such as Dianne Mahaffee pottery. There’s a lot to see and shop for at our farm market! 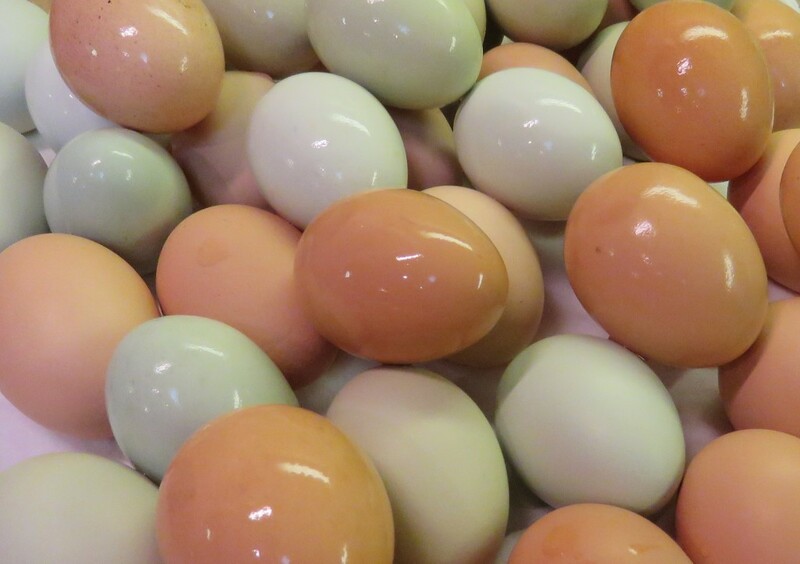 Our big, beautiful and delicious brown and blue eggs are still just $3.50/dozen or $3.00/dozen when you buy 4 dozen. Wow! They are from pasture raised chickens and are free from antibiotics and added hormones. Families of all ages love Farmer Bob’s guided tour. They start promptly at 2:00 on Sunday afternoons, so be sure to get here at least 10 minutes early. 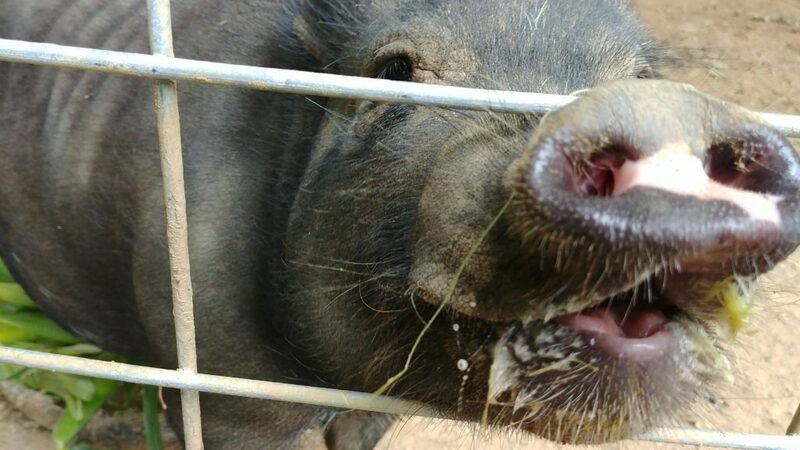 Come feed Pork Chop some persimmons and enjoy another beautiful day on Fox Trot Farm!